South Mumbai’s main question: How many will turn out to vote? In 2014, South Mumbai, where voter turnout had always been below the national and state average, took itself by surprise with 53 per cent turnout, its highest since 1991. As voting day draws near, the main question in South Mumbai Lok Sabha constituency, which has among India’s most affluent voters, is this: how many of its 15,31 lakh voters will turn out to vote? Sitting MP Arvind Sawant of the Shiv Sena is pitted against Congress’ Milind Deora in this constituency. In 2014, South Mumbai, where voter turnout had always been below the national and state average, took itself by surprise with 53 per cent turnout, its highest since 1991. According to election statistics, in 2009, the turnout was 41.40 per cent, following 47.30 per cent in 2004. And it favoured Sawant, whose victory was at the cost of two-time MP Deora. This year too, voter turnout could play key role in deciding fate of both candidates. Workers from both parties are still not clear if their candidates will win. “Initially, we thought it would be easy compared to the last election, as at many places, people were upset with Sawant for not being able to resolve their issues. But after campaigning started, we realised that there would be a tough fight between both candidates. BJP’s support to Sena has also made some difference. But we still feel that Deoraji is leading and people want a change in this constituency,” said a Congress worker from Worli taluka. While Sena is targeting Deora, calling him an “elitist” without a ground connect, Deora has started highlighting criminal cases against Sawant on social media handles. There are 10 cases against Sawant. “Our current South Mumbai MP, Arvind Sawant, has a long list of criminal charges against him. Today, our Parliament needs people with a clean record. We need politicians who people can trust. On April 29, will you vote for someone with criminal charges against him,” Deora tweeted April 12. Sawant is betting on the ‘son of soil’ image and taking ahead his campaign with ‘apla manus’ (our man) and ‘galli se dilli’ (from gully to Delhi) slogans to woo voters. 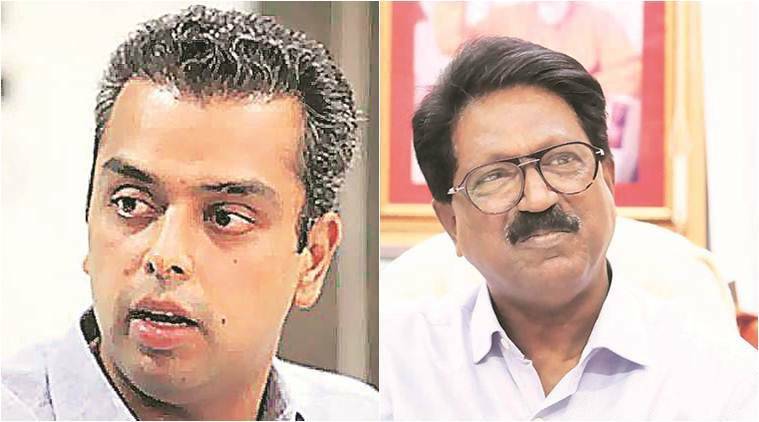 “Conversation with people during campaign rally, South Mumbai people are happy with the development in constituency during last five years, to have MP who raised strong voice #gallisedilli for them, their very own #aplamanus…people will vote positively for Shiv Sena and BJP #RPI alliance,” Sawant tweeted April 14. 1 Mumbai North East Constituency: Candidates never visit the area, why should we vote?